We appreciate you spending the day with us! A map will be provided for directions in where to set up directional signage for Earth Day. Assist Bruce Sklare, Earth Day Program Manager, in setting up heavy A-Frame signage on-site. Need 3 men in their 20s - 30s who can lift HEAVY items. Tasks to be assigned by Volunteer Coordinators - go where needed, control flow of people and run errands on property. Check-in volunteers by name (on check-list). Assist with showing job duty information sheet to volunteers. Inform of any up-to-date information and assist with the identification of volunteer supervisors and those in charge. Direct volunteers to posts. Communicate with Bruce Sklare, Earth Day Program Manager, to Check-in Volunteers and ensure proper exhibitor placement, take exhibitors to designated table and watch over exhibitor tables and property during exhibitor set-up time. Assist Tom Wood Automotive Group with final set-up and to help out where needed during this time. Monitor the gate at ring road in order to control the number of cars moving in and out of the property. 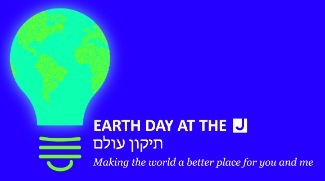 Assist in removing items from cars, direct guests to parking, encourage everyone to attend Earth Day. Assist runners with refilling their water battles. Must be able to safely direct traffic and age 21+. ** Must be Board Member, Admin Staff, Program Manager ** Ticket booth for 5K presence. Check-in volunteers by name (on check-list). Assist with showing job duty information sheet to volunteers. Inform of any up-to-date information and assist with the identification of volunteer supervisors and those in charge. Check IDs and serve beer and wine. Must be 21 years of age. ONLY Check IDs at this station. Must be 21 years of age. No bartender license needed. Assist J Cafe staff in taking tickets and serving food. Parking Monitor at Beth El-Zedeck Lot in order to keep things moving smoothly. Walkie Talkies will be used between the two people doing this job. Assist guests entering JCC for restroom use. Check in at Volunteer Station to receive map where trash bins & receptacles are placed. Assist attendees with sand art activity center. Greet all guests, answer questions and oversee sign-in. Distribute tickets for those that pre-purchased. ** Must be Board Member, Admin Staff, Program Manager ** Sell tickets for events. Have previous 3 p.m. commitment that I spaced. Should arrive around 4 and will stay until the end, also helping to clean up! Distribute tickets to those that pre-purchased. A map will be provided for the locations of signage to be removed and delivered back to the JCC.